To a newer blogger the Amazon Associate program looks like an untapped gold mine ripe with ore. Who doesn’t like Amazon? They announced >310 million users in 2016, with 562,382,292 individual products as of Jan. 2018, and it’s only gone up since then. Everyone can find items to market within their niche. In most cases all you have to do is search for your keywords and Amazon will find items for you. Amazon will find products for you even if you can’t narrow down your niche. A search for the word “Blog” returned 20 pages of items. This is why the Amazon Affiliate program is often the first affiliate program new bloggers sign up for, because it appears to be a sure thing. Even with all of that going for it, I see conversation threads every day about people not making the necessary sales to qualify for the program. If you don’t make three qualifying sales in 180 days, your application to the program is rejected. Hell, I didn’t make my three sales the first time around. In a prior post “Tips for Amazon Associates” I went over some of the pitfalls I had fallen into. So when I received the notice that I did not qualify I was disappointed but not surprised. I had a pretty good feeling I wasn’t going to make it. So I took a week off from “selling”, and wrote about “Experiencing Life.” Over the next week or so I examined my past posts and selling techniques, identified some of the problems, and tried again. After a few weeks and a few posts, I wrote a post, reapplied to the Amazon Associate program, added links to the new post, and posted it the same day I reapplied to the program. Within a week I had my sales. All it took was a little research, a little self-evaluation, and some passion. How do you make your first qualifying Amazon Affiliate sales? To start off you can’t be nonchalant about it. I insert quotes in a lot of my posts. In “Look Out for Sharks” I quoted “Rounders”, so I inserted a link to buy the movie. That link didn’t get even one single click, much less a sale. Just dropping a link for the sake of the link doesn’t convert. It’s not much different than putting a food display next to the bathroom. It may have seemed like a good idea at the time, but no one wants to eat food stored near the toilet. It’s not an extra opportunity to make a sale, it just makes you look desperate and untrustworthy. A blog isn’t like a convenience store, you aren’t going to get many impulse buys. People ended up on your site because they were looking for something specific. Try to keep your advertising along those lines. Take this into account when placing advertising banners in your posts also. Keep the banners related to the content. If you have written a post about the 5 best mountain biking places in the Midwestern U.S., don’t include a banner advertising Amazon’s Baby Registry Bounty Program. Which I didn’t know they had by the way. Again, it just looks desperate for a sale. If your readers trust you, they will take your advice and purchase products you say are worth their money. If you try to appeal to everyone, you will appeal to no one. That’s why you write to a niche in the first place. If I wanted to get into mountain biking, and I just read that post I would take your opinion into consideration when purchasing a mountain bike. However, I would have no reason to click on your baby registry banner. If I’m looking to go ride the 260 mile Sheltowee Trace in the Daniel Boone National Forest in Kentucky, I probably don’t have a baby on the way. You have to be deliberate. Once you are 100% approved for Amazon’s Associate program you can open up your options a bit. Until then you need to pinpoint your best options to make a sale and target your audience. I came across a post last week that was titled “10 best books for Bloggers” or something similar. Naturally I wanted to see what those books were. When I got to the page I saw that it was comprised entirely of 10 hyperlinks. That’s it. No reviews, no descriptions, no actual text at all. Just 10 book titles that linked to amazon. I immediately closed the page. How am I supposed to know those are the 10 best books for bloggers? It didn’t tell me anything about the books. I’ve never been to that site before so I didn’t have any reason to trust it. Not only did it not sell me any of those books, I didn’t even have a reason to believe the post author actually read the books he/she was trying to sell. You have to intentionally sell the product to your readers. That doesn’t mean you have to resort to sleazy tactics, or a used car salesman persona. Actually it’s the exact opposite. It’s easier by far to sell an item you have used and believe in. I made my qualifying sales from “The One Thing Every WordPress User Should Own”, because I was open about the problem I had, and how the book helped me overcome that problem. I realize it may not be possible to try out every single item you want to promote, but you damned well better do your research. I don’t mean just read the first 3 articles after a google search. You should know everything about the item, and report on its flaws as well as its features. It never hurts to be honest, people will only trust you more. Writing a post specifically to promote a product or multiple products is essentially a long form sales ad. Identify a problem or question your audience may have, then offer them a product that answers their questions or solves their problem. Keep your language simple, and write conversationally. 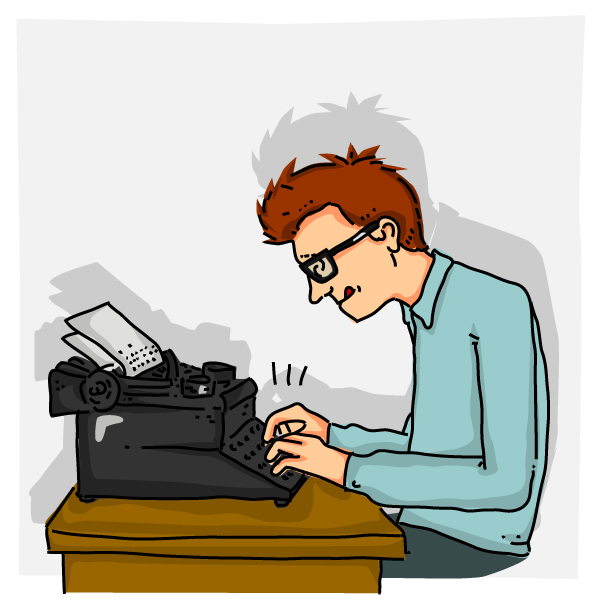 Write like you are speaking to your readers face to face, almost exactly like you would speak in person. There is no reason to use sesquipedalian words, but you don’t have to use a monosyllabic tone either. See what I mean? It’s obnoxious, and irritating. Use multiple links to the item in your post. You never know which paragraph or sentence will convince someone to buy the item you are promoting. When it happens you don’t want them to have to search through the post for your link. A link every other paragraph or so should be sufficient, if you are mentioning the item. Don’t try to unnaturally shove posts in the text. 3-5 hyperlinks is enough for a 1000-1500 word post. You don’t want to spam your readers either, it’s a delicate balance. Try to be sure a link is always on screen as you are scrolling through the post. The last tip I have to make your sale in the 180 day time-frame, is make sure you have a CTA (Call to Action) on your posts. You didn’t just write all of that for the sake of writing it. You want readers to purchase the item you are promoting. So, tell them so. Even something as simple as “Click Below to Buy One Now”, or “Get Yours Here” will help convert. You want a clear and concise CTA instructing readers exactly where to click and why. Also, please make sure you adhere strictly to Amazon’s Terms of Service. It’s an awful lot of work to go through to make your three qualifying sales, to end up being rejected for violating the ToS. I have a post here, about common mistakes Amazon Associates make when first starting out. Be sure to check it out if you have any questions or doubts. I’ve been an inactive associate for long enough that I just got a notice saying they’re closing my account in 7 days for not having any “qualifying sales” over the past 365 days. Do you know you if I can save my account by getting some sales in the next few days? I believe you can. If you get the qualifying sales the will not close your account. On the other hand, if you do not get them, you can just reapply. You have to update your links if this happens. I really love your post,i just have one month remaining from the 6 months trial period that amazon give its affiliates in order to be added to the affiliate program, but i have not been able to make a single sales out of the. with just one month left i do not know what else to do in order to not be disqualified. If you are not accepted into the program, you can just reapply a few days after you get the email stating whether or not you are accepted. The only catch is you will receive a new Associate I.D. so you will need to go back through all of your old posts and update any Amazon links you previously placed in them. However, you may want to wait till you increase your site traffic. Only a small percentage of visitors will click your links, and only a small percentage of them will purchase an item. I love your tips. They are inspiring. I need to make sure a link is always on my page when you scroll. I need to work on intentionally selling in a non-spammy way. Thanks for sharing. Thank you. These are just a few things i figured out through trial and error. This was a great read. I haven’t had much luck with amazon so this has inspired me to try again! Thank you for reading. I hope everything works out for you this time. If you need any help feel free to reach out, I will offer any help i can.